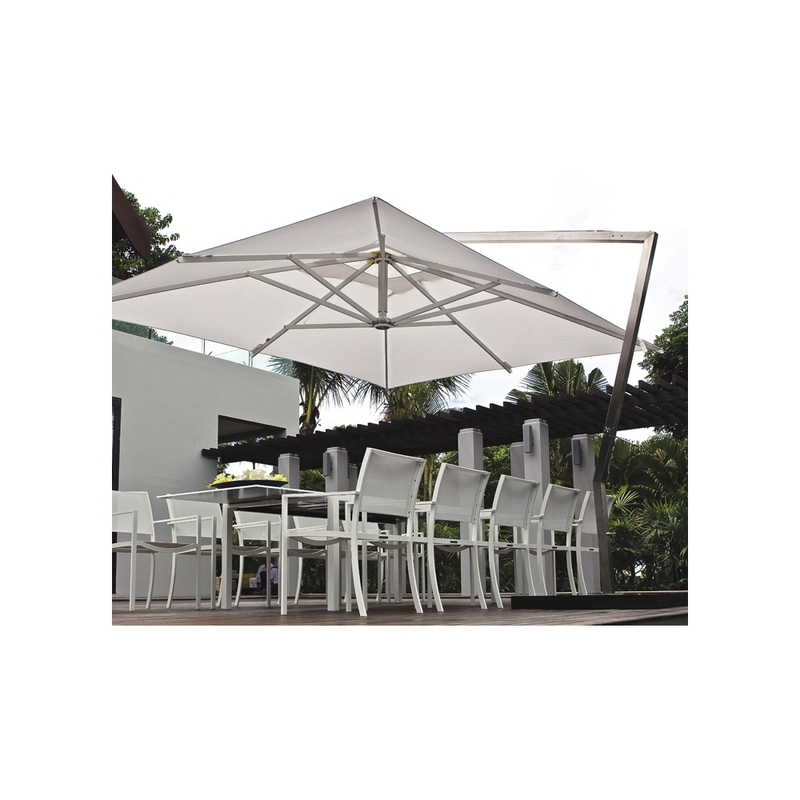 the shady X-Centric rectangular A grade teak or aluminium parasol rotates through 360 degrees, allowing you to follow the sun or shade. The canopy is easily raised and lowered with an incorporated winch system and is easily removed for winter storage, and a deluxe storage bag is included. comes complete with heavy duty granite base and a removable cover. Stainless steel frame, crown rings and fittings, aluminium ribs and hubs in coated wood. Rotates 360 on base. Royal Botanica parasols are way beyond what you've seen before, sheer luxury.